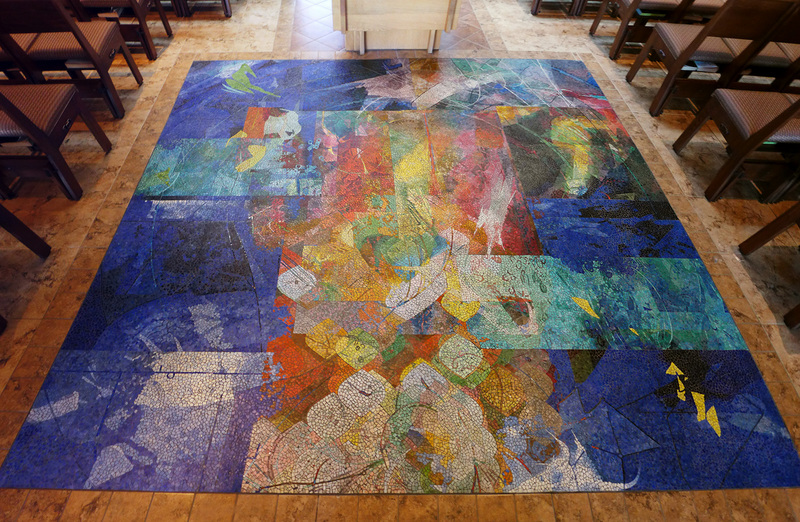 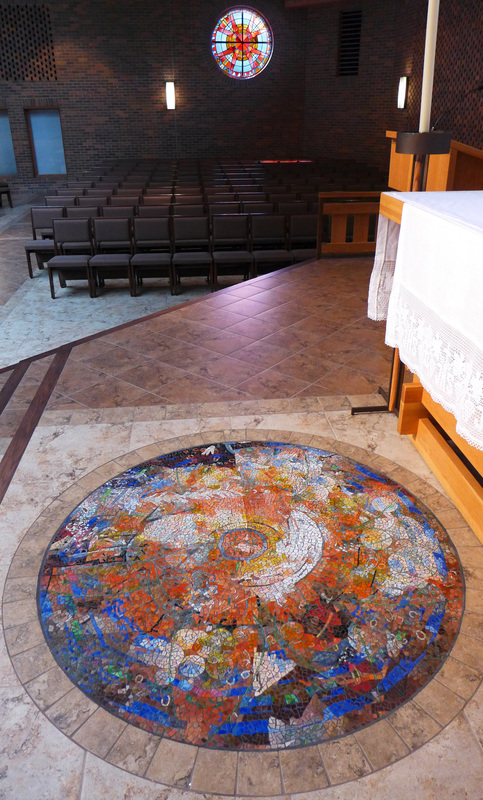 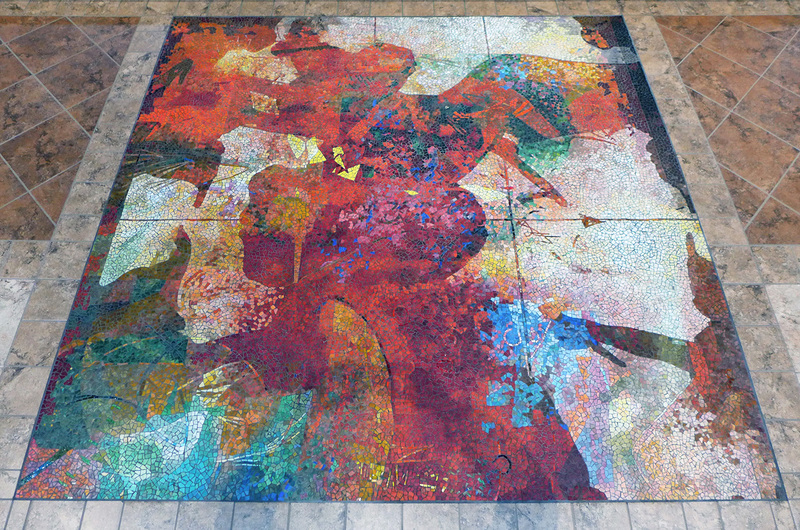 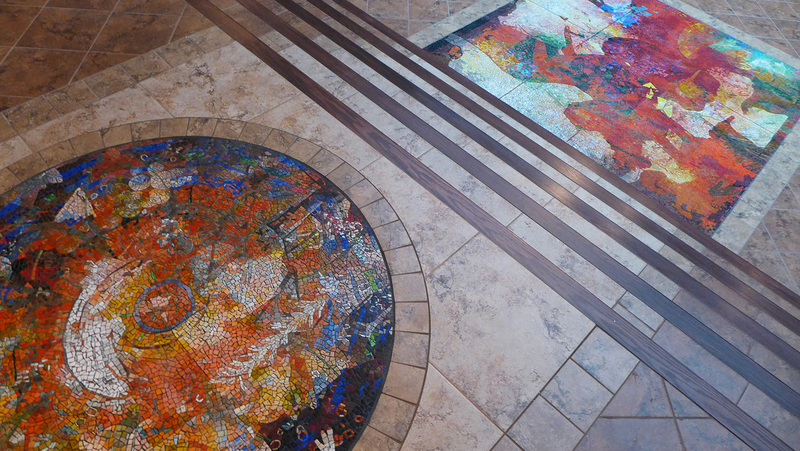 Designed by Scott Parsons, Mosaika created and installed three mosaics of tumbled smalti glass in the sanctuary floor at St. Michael Catholic Church. 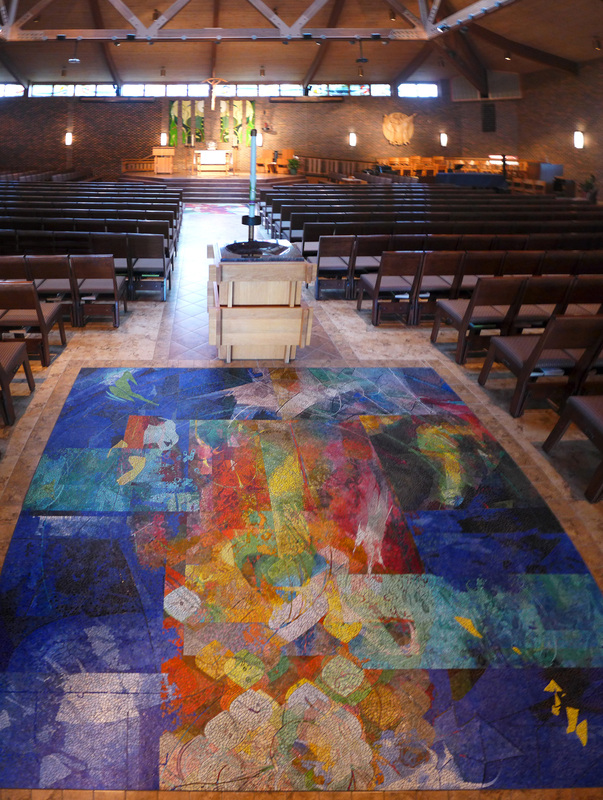 2015 – HOLY SPIRIT CHURCH – SIOUX FALLS, SOUTH DAKOTA. 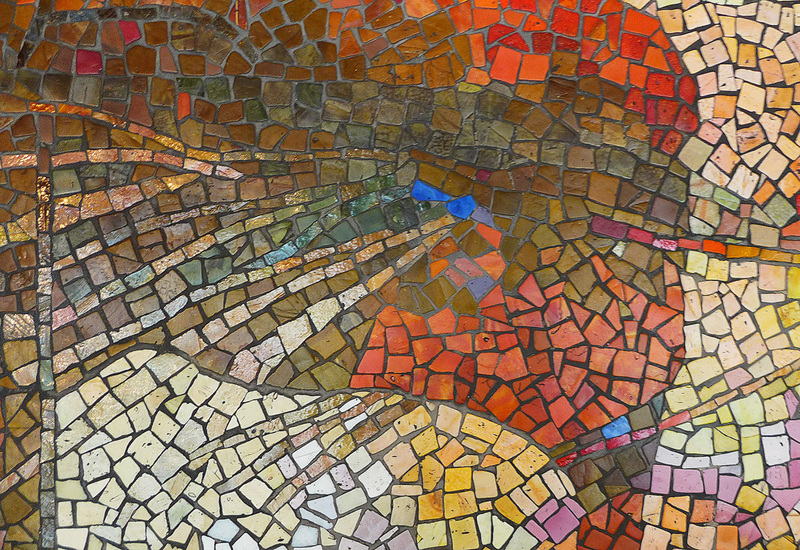 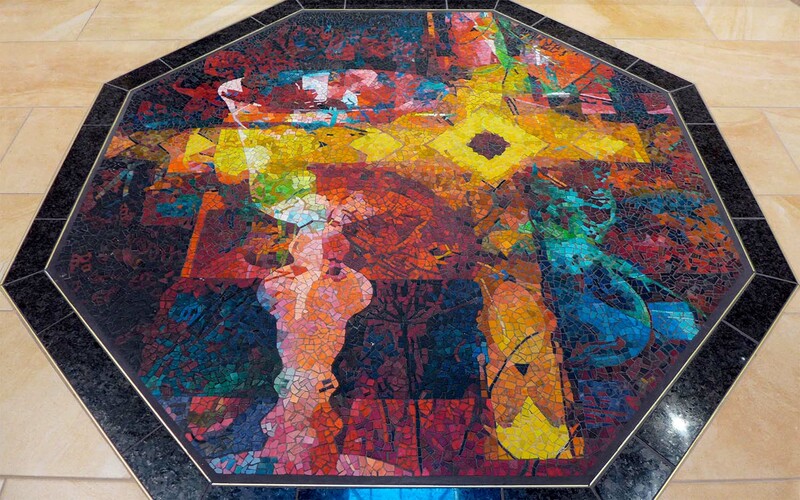 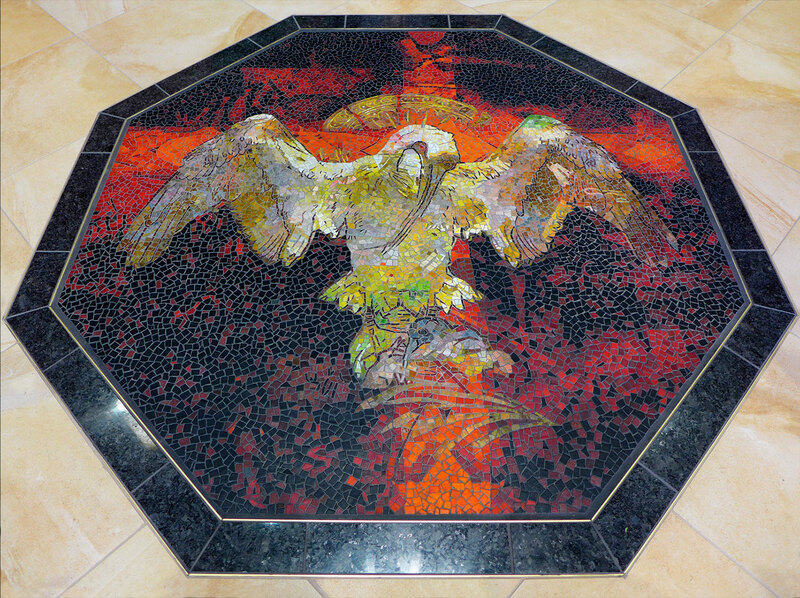 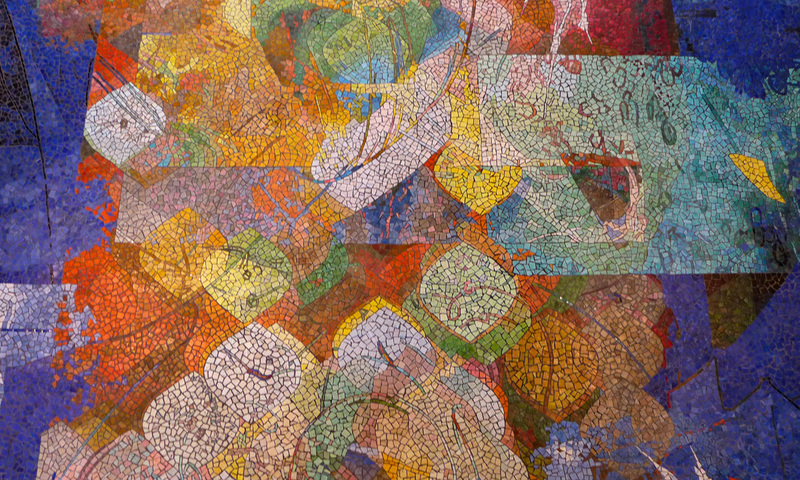 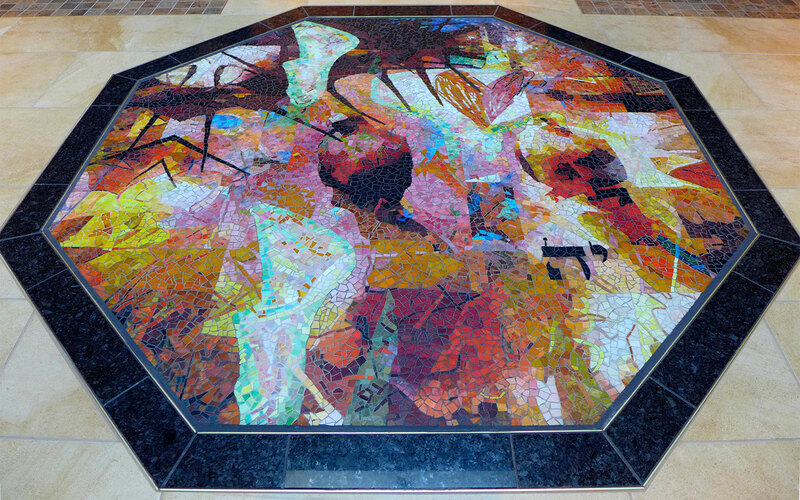 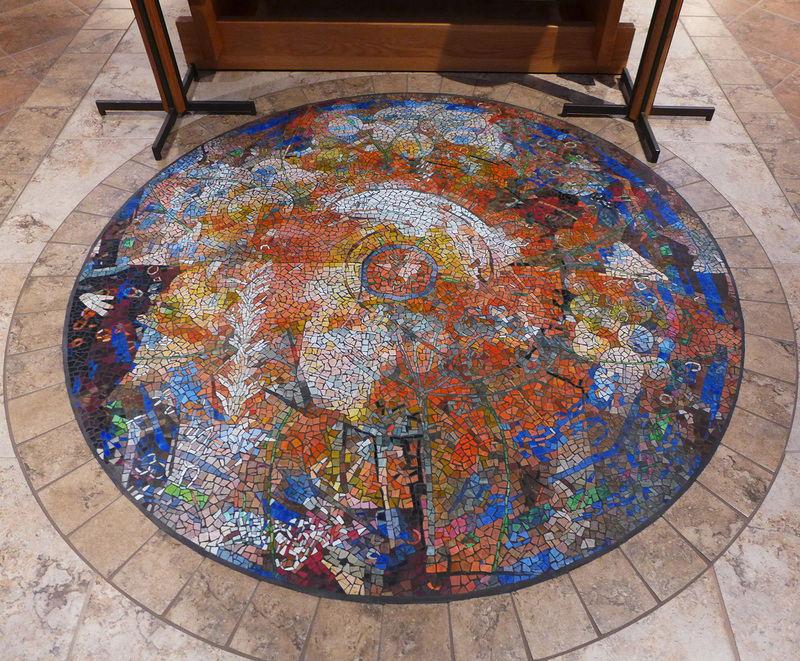 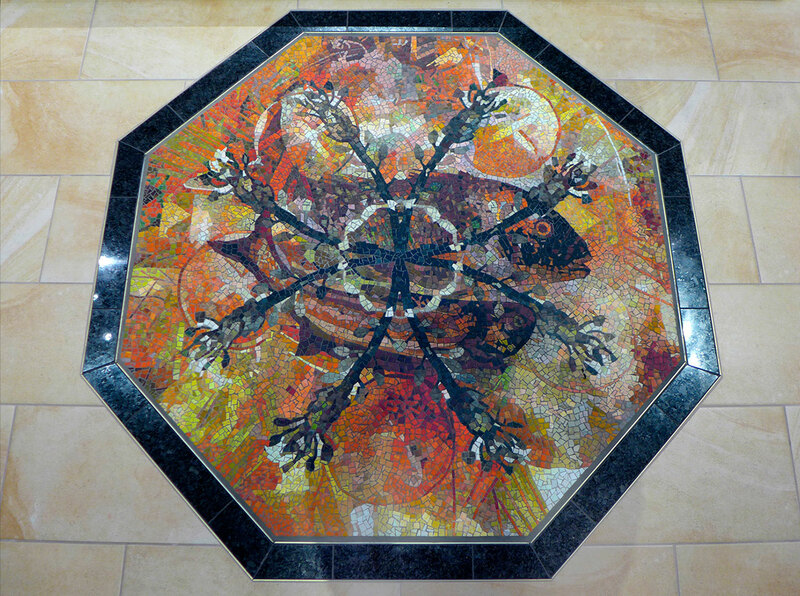 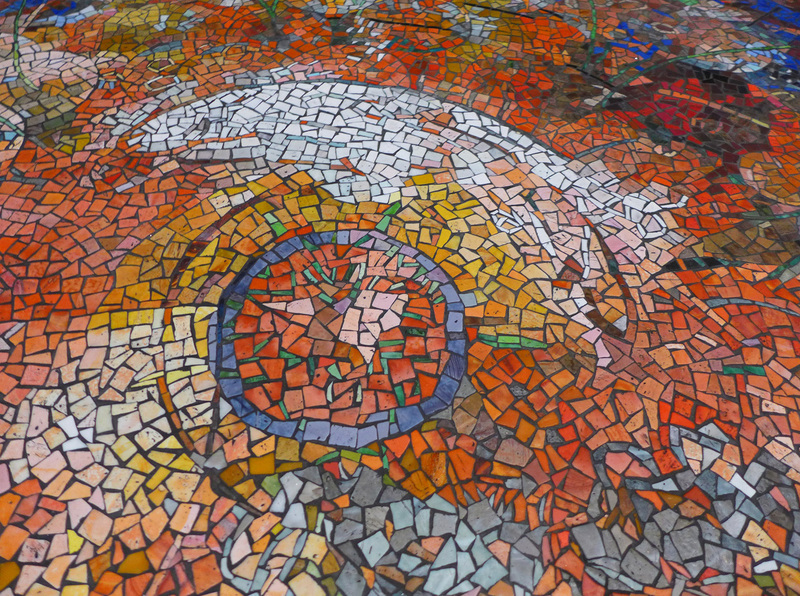 Mosaika created and installed five tumbled-smalti glass mosaics designed for the Holy Spirit Church by Scott Parsons.